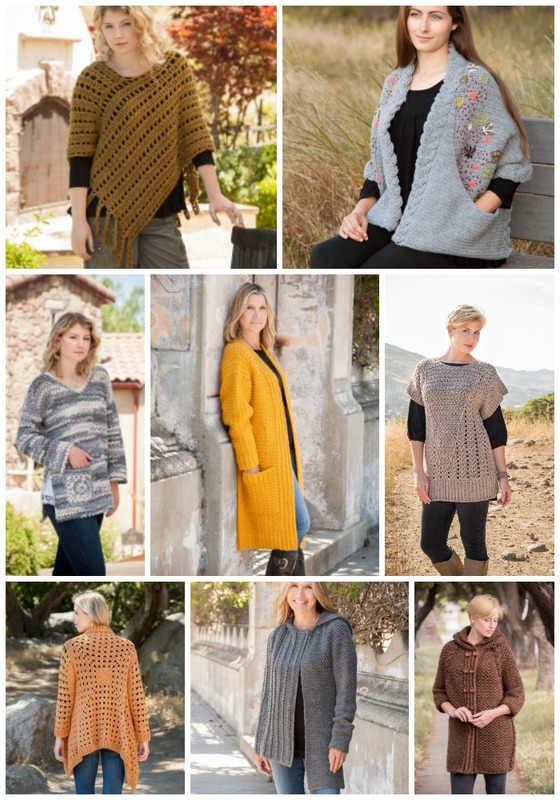 Annie’s has a brand new collection of patterns: the Autumn Glow Collection! 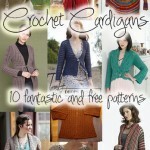 It includes 30+ new knit and crochet designs, each lovelier than the last. 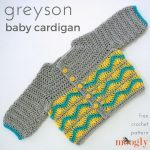 And I get to give away one of the patterns – and the yarn to make it – here on Moogly! Disclaimer: This post includes affiliate links. Materials for the giveaway provided by Annie’s. Aren’t they gorgeous!? 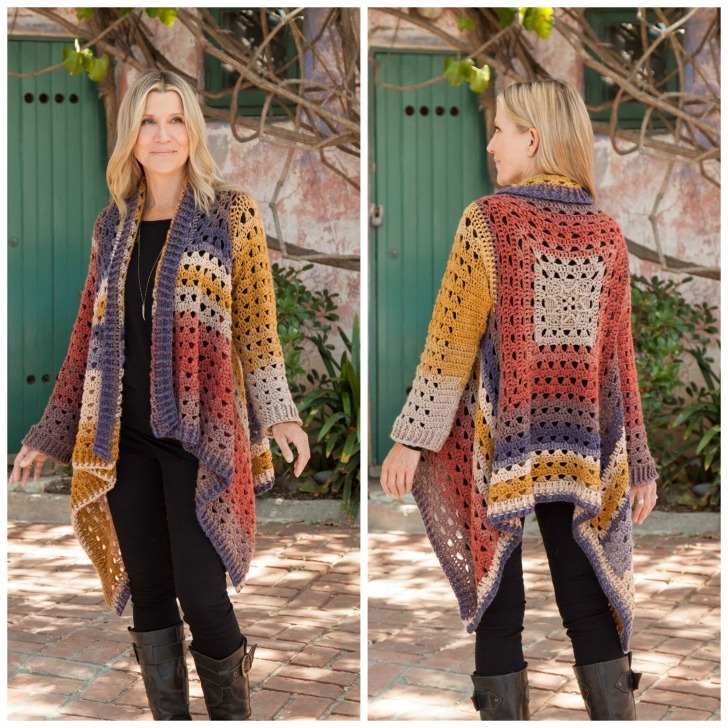 And today, I get to give away my very favorite pattern from the Autumn Glow Collection – the Euphoria Cardi! Shown below in Lion Brand Mandala, in the Centaur colorway, this cardi is gorgeous in solids too – you can see it in Lion Brand Vanna’s Glamour on Annie’s! Flattering to many body types, this openwork cardigan can easily be dressed up or down for multiple seasons. The multicolored version is made using 4 (4, 4, 4, 5, 5) skeins of Lion Brand Yarn Mandala DK-weight yarn. Instructions are written for sizes: S (M, L, XL, 2XL, 3XL). Purchase of the Euphoria Cardi pattern also includes a special bonus video that shows you parts of the pattern you might need a little extra help with! Love that! 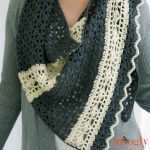 Lion Brand Mandala is the hot yarn to find this summer, and putting together this giveaway took extra effort – even for Annie’s! But they found exactly four cakes of the Phoenix colorway – enough to make sizes Small through Extra Large – and they are included in the giveaway! Hooray! To win the pattern for the Euphoria Cardi and 4 cakes of Lion Brand Mandala in Pheonix, enter the giveaway using the Rafflecopter widget below! To win the pattern for the Euphoria Cardi and 4 cakes of Lion Brand Mandala in Pheonix, enter the giveaway using the Rafflecopter widget below! 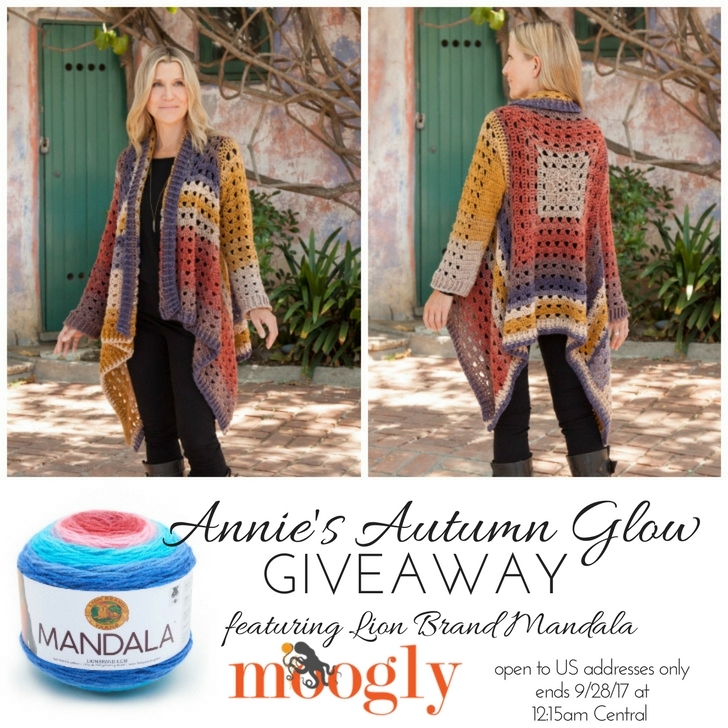 The Annie’s Autumn Glow Collection Giveaway on Moogly is open to US addresses only and ends September 28, 2017 at 12:15am Central US time. To enter, use the Rafflecopter form below. If you are on mobile and have difficulty entering, please use a desktop computer to enter. Only the Email option is mandatory – all other tasks are optional, for bonus entries only. Facebook, Twitter, G+, Pinterest, Instagram and Tumblr so you don’t miss a thing! Saw these cakes in the store this week, gorgeous and can’t wait to make a couple of these beauties. Would love to make this jacket. it will be perfect for Fall! I love this pattern amazing yarn, It looks so warm and cozy! There is a banner in the way of the entry form and I cannot see or click the enter button!!!! I have bought the Cold Canyon Poncho and I am in the process of crocheting it. I would love so many of these patterns from this series!! I am in love with them all. Oh dear! I hope reloading the page fixes it! I was going back and forth over purchasing this pattern, it would be great if I won! I’ve made a shawl with one of the original mandala colors, I like this one as well. I would love to enter, but apparently because I am from Canada can’t. I like the yarn and patterns, but will not be giving any of the items a chance since I am Canadian and effectively barred from the product. Thanks for the giveaway. Such a decision as to which lovely pattern I would make. I am so excited about this cardi! I hope I win but in the most probable case that I don’t, I just happened to find and buy this yarn yesterday for $4.97 each at one of the big box stores when I was looking for a different yarn. (Not sure if I can mention the name of the store since you have other sponsors) Let’s just say it wasn’t one of the big three crafts stores we usually frequent. These patterns are amazing! I can’t wait to try these out. What a flattering cardigan! Love it! And I’m also in love with all the different gradient yarns that have come out, too! Wouldn’t it be great to make and donate to a lady in Texas who has lost everything. Such a beautiful pattern collection; I wish I could have them all! I would love to win the beautiful yarn you have to giveaway! Thanks for everything you do for us crocheter’s!